Looking for a blast from the past, hot grub and some entertainment for your last vacation supper? Enter the castle, eat, and cheer on your favorite Knight. If your family is in the mood for adventure, dazzling costumes, a hardy and hot meal, plus a great show, Medieval Times will take you back to the 11th century and provide you with just that. 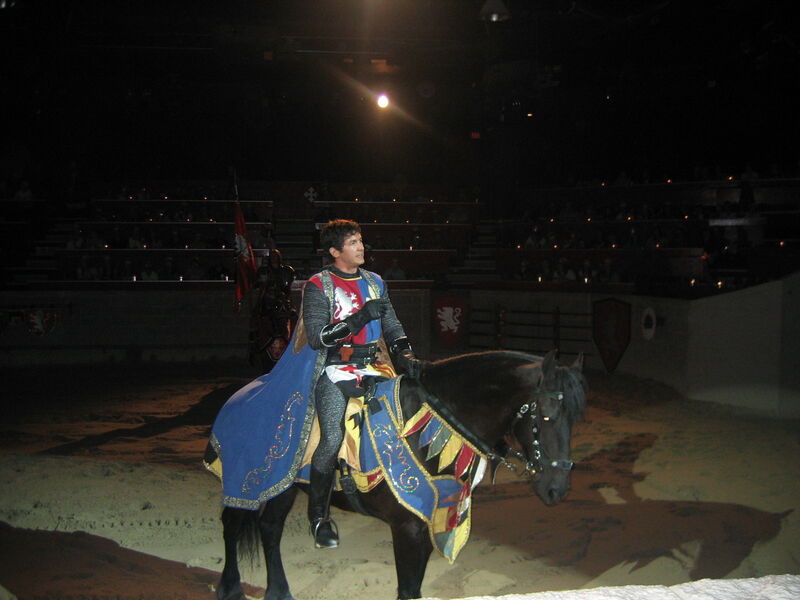 Medieval Times is a themed dinner theatre appropriate for all ages, with branches in many of North America’s most popular tourist areas, and it’s open year-round. 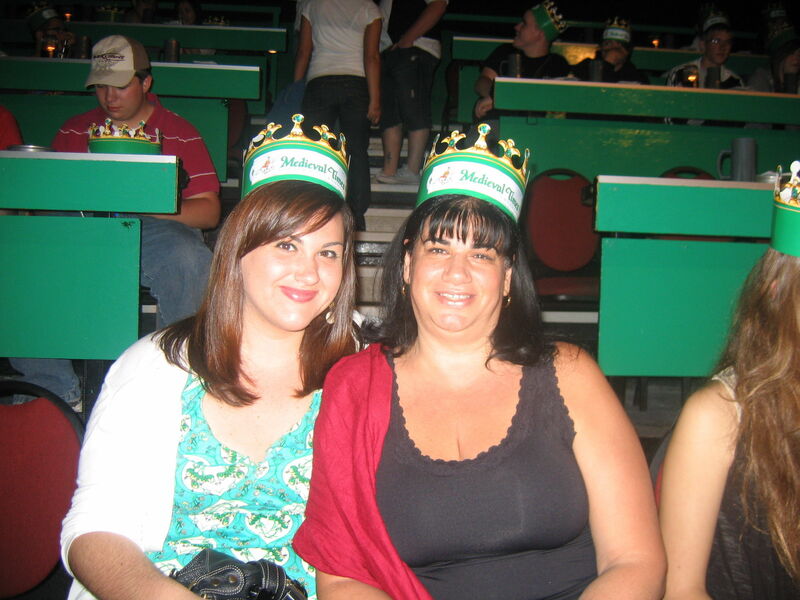 Upon arrival to a Medieval Times arena, guests are given a crown of one of six colors, each representing a different region of medieval Spain. This color indicates your seating assignment and which “Knight of the Realm” you should cheer for during the show. 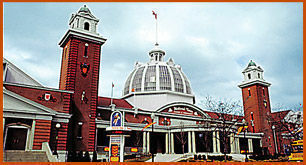 In 2009, the dinner theatre franchise introduced a brand new program featuring a new script and choreography, plus even more chivalry, action and romance. Upon the start of the show, royal trumpeters summon the “Lords and Ladies” and invite everyone to take their seats in the arena. As the serfs pour beverages, guests are greeted by King Phillipe and Princess Leonore, who have invited the visitors to enjoy the feast. Supposedly in celebration of peace in the new land, the feast is interrupted before the first course of garlic bread and tomato bisque soup has even been served. A brave and handsome prince of the realm has been captured after a sneak assault. The attack, however, goes on unbeknownst to King Phillipe who continues with the Tournament of Games. During the main course of roasted chicken, spare-ribs and herb-basted potato, there is a display of equestrian skills and medieval pageantry. 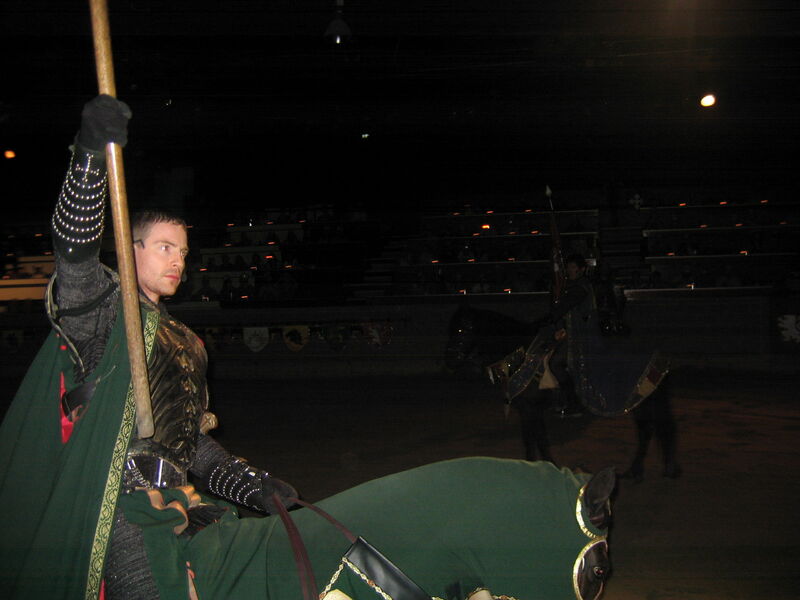 Young boys will love witnessing live jousting, swordplay and falconry. Young girls (and maybe even the moms and grandmoms) sitting in the audience are given flowers and roses by the victorious knights. One lucky lady in each colored section is even declared the Queen of Love Beauty. Parents must note, however, that this meal is being consumed in a time prior to the invention of silverware, so it can get messy. Although the venue does provide wet napkins to remove chicken grease and the other residuals, an extra supply in tow might be a good recommendation. Once you are all cleaned up, the games continue. The pace of the show quickens when King Phillipe gets news of the aforementioned kidnapping. Then suddenly, one of the competing knights is revealed to be the evil villain with plans to usurp the throne. The once-friendly tournament turns into a full-on battle as guests enjoy their dessert of pastry. Upon the conclusion of the show, after peace and harmony is, of course, restored to the land, guests are invited to meet and greet with the players. Pictures and autographs with your favorite knight and lady can also be arranged. 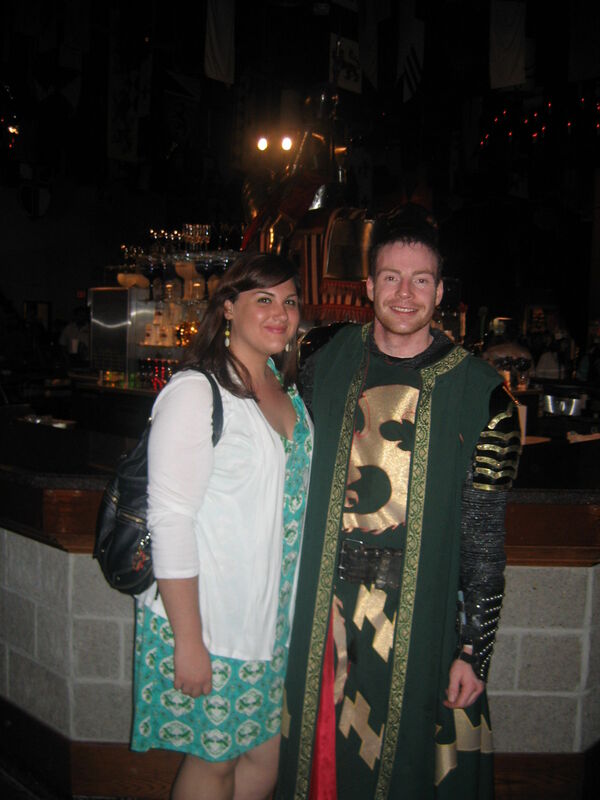 Since its inception in North America in 1983, the Medieval Times chain has entertained more than 50 million guests. The venues range in size from 70,000 to 111,000-square-feet and can seat up to 1,100 people in the Grand Ceremonial Arena. All facilities feature a decorated Hall of Arms, Museum of Torture, Knight Club, an aviary and stable facilities. The nine castle locations include: Kissimmee, Florida; Buena Park, California; Schaumburg, Illinois; Hanover, Maryland; Lyndhurst, New Jersey; Myrtle Beach, South Carolina; Dallas, Texas; Atlanta, Georgia; and Toronto, Ontario, Canada. For more information, such as show times and rates, visit www.medievaltimes.com.